A controversial academic who left a scandal-hit Welsh management school after describing a colleague as a “sack of human waste” has now started a company specialising in “first-degree level higher education”, The Eye can reveal. Niall Piercy was ‘Chair of Entrepreneurship’ at Swansea university School of Management, and was first suspended then quit after relentless pressure, following revelations by us. He is now described in company records as ‘Director’ and ‘Secretary’ of ‘Enterprise National College’ which was incorporated on September 14. But Dr Piercy has an interesting background to start a company for educating people. In one email he talked of a colleague as “useless, lazy and a sack of human waste” while in another he described his staff in belittling terms but this cannot be shown for legal reasons. We also disclosed how a Niall Piercy had called mechanics “conmen, cowboy scum” on Facebook because he was unhappy with the way they had serviced his luxury car at a garage in Cardiff. Controversial views were also given after an evening at a Weatherspoon pub in Cardiff. Niall Piercy said: “I just got change off a 10 on 20 from foreign barmaid who couldn’t even speak English in central cardiff. “They did a till check ON THE WRONG TILL and told me to sod off. “You people are common scum”. 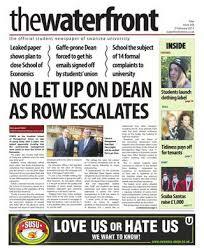 The Eye revealed details of an astonishing sequence of events, when the students union at Dr Piercy’s then university, formally asked for CCTV footage after reports that a senior official had secretly scooped up bundles of the student newspaper ‘The Waterfront’ because another article had been printed which was critical of his school. The school itself hit the headlines after it emerged Dr Piercy’s father, Nigel, was appointed Dean, and his father’s partner, Nikala Lane, was named Associate Professor. Swansea university said her research specialised in: “…the comparison of the effectiveness of sales manager behaviour – and outcome-based control strategies in different countries, and the relationship between strategic sales capabilities and the effective implementation of business strategy”. Meanwhile a storm of controversy followed The Eye’s revelation that the head of his school, Professor Nigel Piercy, had described trade union officials as “unpleasant and grubby little people”. 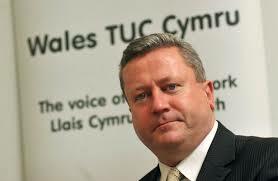 But Martin Mansfield, general secretary of the Trades Union Congress (TUC) in Wales said the comments were “unprofessional and abusive”, and he was deeply concerned Professor Nigel Piercy had used the university’s website to broadcast “highly-personalised attacks on his own staff”. The Eye also divulged how an investigation was undertaken by the leading barrister and judge, Sir Roderick Evans QC, who was a senior figure on the university council. 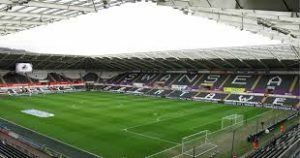 A first report was due to be delivered to the institution’s authorities, the day after a formal dinner was held at Swansea’s Liberty stadium to celebrate his school’s ‘success’. A Freedom of Information request by The Eye established the cost of the dinner, before the report’s delivery, was £19,408.28. 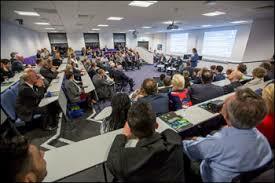 But the dinner was not the only controversy affecting Swansea University during Dr Piercy’s time there. It came soon after a petition of past and present students at the university was started online calling for urgent action by the authorities. The petition was called “Safeguard Our Degrees” and secured over 1,100 signatures. But did ‘management school’ students know what was going on? It stated: “We call on Swansea University to listen and act on student concerns regarding the recent events at the School of Management. At the time the university stone-walled any inquiries. They would only say: “Professor Nigel Piercy is Dean of the School of Management, Professor Niall Piercy is Chair of Entrepreneurship, and Dr Nikala Lane is an Associate Professor at the School. Officials at Swansea are unlikely to respond now to the fact that one of their number has just set up an education company even after calling a colleague at the university a ‘sack of human waste’.